Blake Designs Makeup Artistry was founded by Samantha Blake in 2013. With a passion for art, beauty and creativity, what was initially a hobby, grew into a full-time hair and makeup business. As her client base grew, she not only increased skills and knowledge regarding hair and makeup, but realised that makeup was not just an exterior experience. 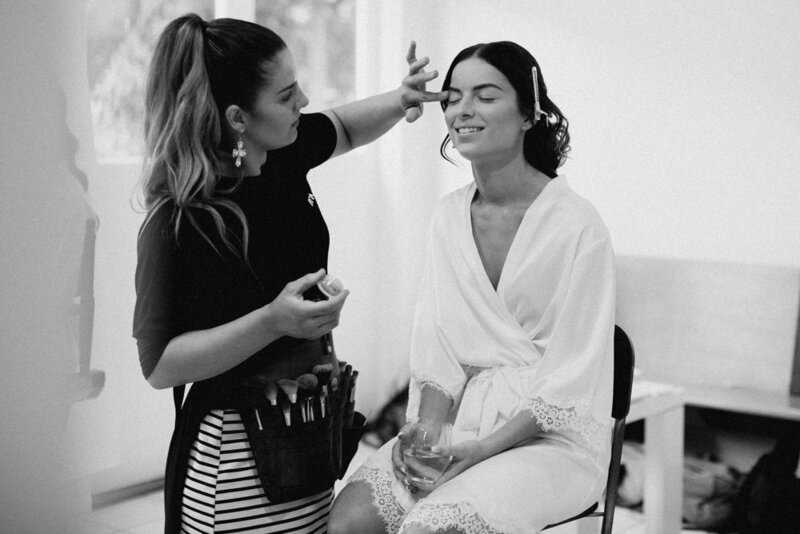 Customer service and personal connection with her clients was just as important as getting the look right on the day. Samantha believes that being transparent and establishing good communication with her clients will achieve the best results. Samantha Blake as head artist at BDMA works with a team for large bridal groups and peak formal weeks. She also specialises in commercial shoots during the week for the bridal and event industries, fashion boutiques, photoshoots and special effects makeup. Individual bookings are based from her home studio in Ormeau which has recently been redesigned and upgraded. When you walk through the studio you will find an antique but modern styling, touch screen mirror, two work stations (one for hair and the other for makeup) chalk board wall, directors makeup chair, professional box lighting and an antique chase lounge. The beauty industry is forever changing in style and products Samantha budgets to purchase new products each month to trial, stay relevant and experience the latest trends. Ask her what she is trying this month! Each month Samantha will also release a new creative look (Fancy Face) to challenge herself. These are posted on the 1st of each month and can be found on her social medias. Want to get in touch? Click the contact button below. 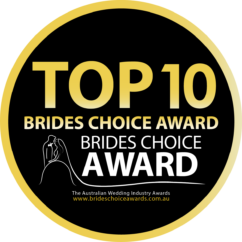 In December 2018, Blake Designs Makeup Artistry was voted as a finalist for the Top Makeup Artist on the Gold Coast by their brides. They made it to the top 10, which was an amazing achievement, especially coming up against other businesses that have multiple artists and specialise in bridal makeup only. Pricing varies depending on each individual job, at BDMA we like our pricing structure to be simple! Here is a guide of our pricing, for official quotes and bookings please contact us! Based on the Goldcoast, BDMA provides mobile services from the Sunshine Coast to Northern NSW and offer studio bookings in Ormeau.